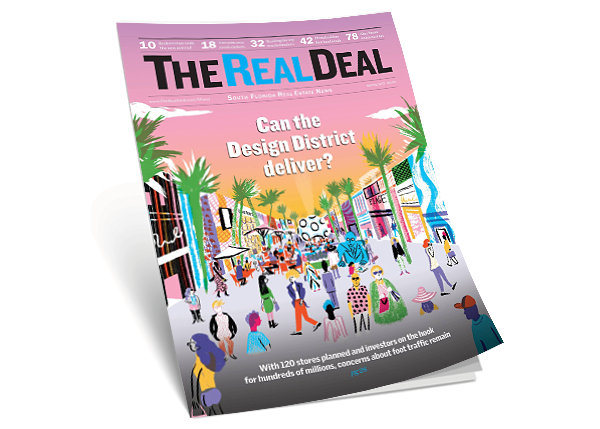 To celebrate The Real Deal’s South Florida edition going quarterly, TRD is offering a one-year subscription to the magazine for $35. The subscription includes four issues of the South Florida magazine, with the newest edition hitting newsstands this June. The upcoming issue will examine the region’s biggest developers, look at incentives condo developers are using to drive sales, evaluate the area’s largest general contractors and so much more. Don’t miss out on coverage of one of the country’s hottest markets. Click here to subscribe to the most trusted resource for South Florida real estate news.